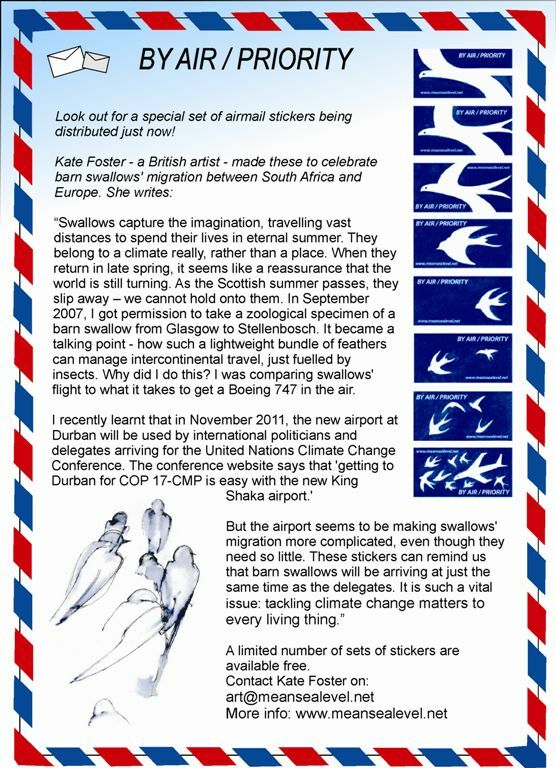 UK swallows have reached Durban! South Africans are welcoming migrant barn swallows back this weekend: in Durban a party is planned next to reedbeds at Mount Moreland. It will be a spectacle at dusk, as they come to roost – millions of whirling birds, only ever seen in small groups in UK. 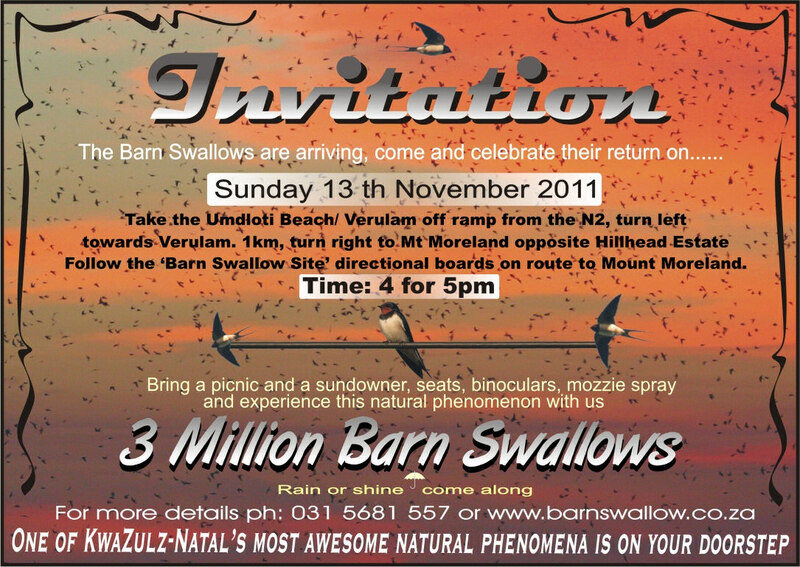 The organisers add: Please join us for this unique event… Come and see 3 million Barn Swallows gathering together at sunset, every day from 5pm until mid April. Bring a picnic, seats and binoculars. An unforgettable experience for the entire family. Mount Moreland is close to the new King Shaka airport, soon to be used by international delegates for the United Nations Climate Change Conference. Reflecting on this, I wrote the article below for Barn Swallow South Africa magazine. This follows an earlier post on swallows in the Borders.